So many North American people misunderstand what “sushi” is. Especially, seeing restaurants selling sushi-ish stuff in North America really makes me sad… In addition, North Americans believe they are eating sushi, but they are not. OK. This is the best place to taste “real” sushi or sashimi in Montreal. The restaurant is called “jun i.” Both taste and presentation are excellent. 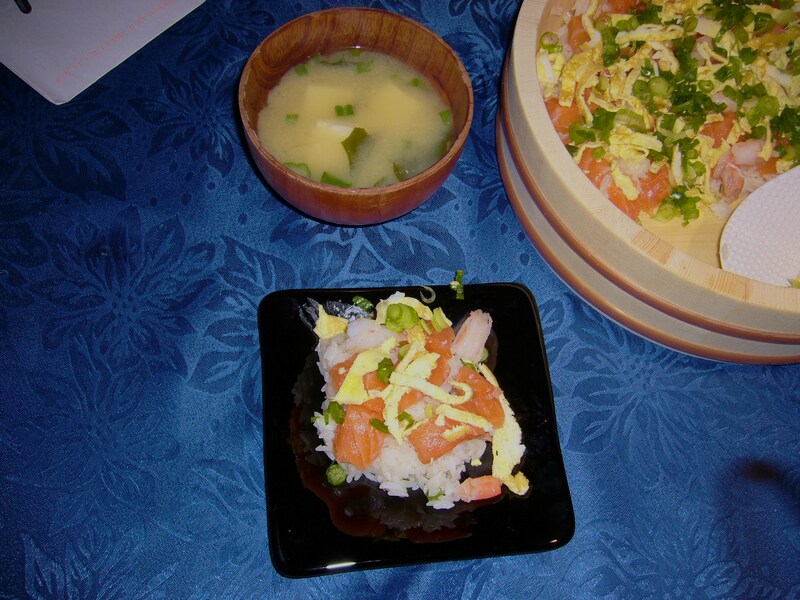 Chirashizushi is “scattered sushi”: the fish, vegetables, and whatnot are arranged over rice. 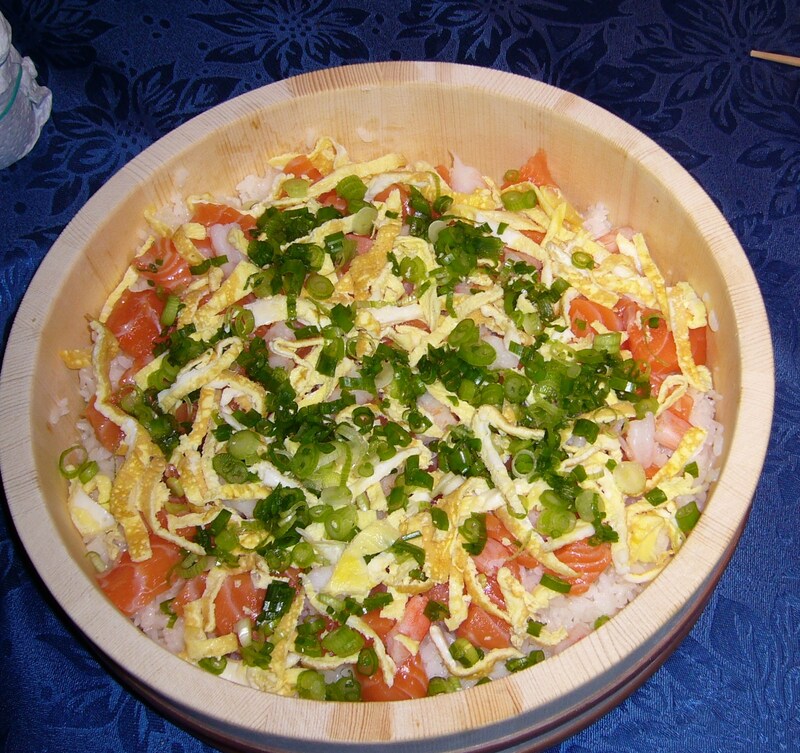 In this instance, Yusuke combined shrimp, fresh salmon from our local poissonnerie, green onions, and a thin omelet cut into strips. Usually, the rice for this dish would be mixed with rice vinegar and sugar, but instead Yusuke used a “magic powder” that his mom sent—it’s called sushinoko. Yusuke’s mom also sent us the wonderful wooden bowl for serving the rice. The soup is traditional miso with tofu and wakame. This indeed is one of Yusuke’s restaurant-worthy creations!